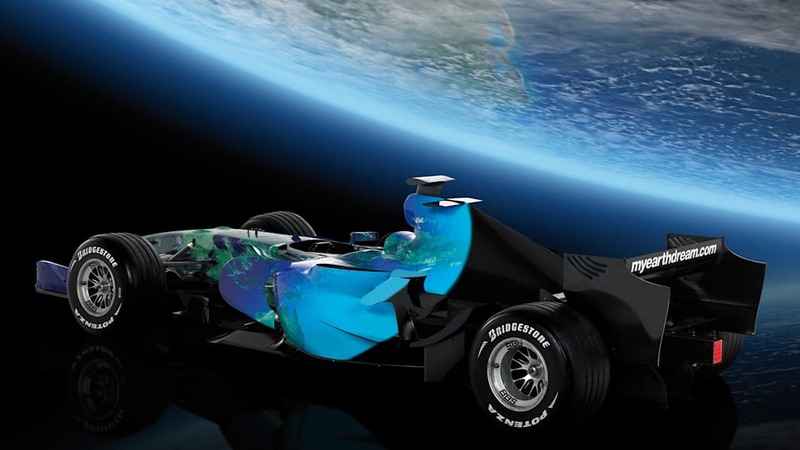 Confirming the story we ran on Saturday, Honda Racing F1 will go the non-traditional route and run the Earth-liveried RA107 racing car during this year's F1 season. 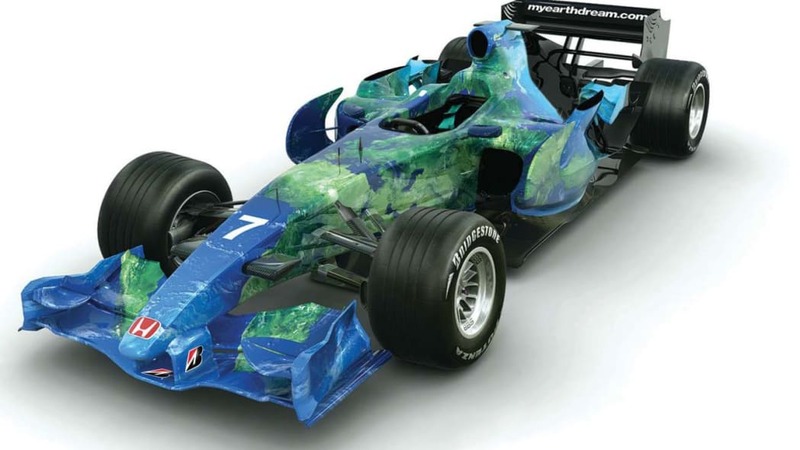 The car's bodywork will be devoid of sponsor advertising (though Bridgestone, the car's tire supplier, is represented), but the team announced that existing sponsors as well as a host of new ones are on board for 2007 in support of the unorthodox effort. The unveiling took place today at a press conference at London's Natural History Museum, and drivers Rubens Barrichello and Jenson Button were on hand for the big reveal. 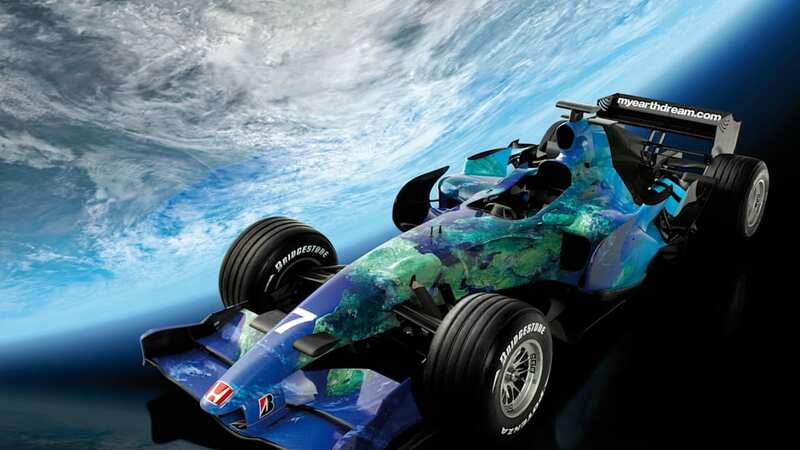 The map of the Earth is intended to raise awareness of environmental issues and Honda Racing will collaborate with environmental charities to develop and promote the automaker's "existing environmental ethos" in F1. 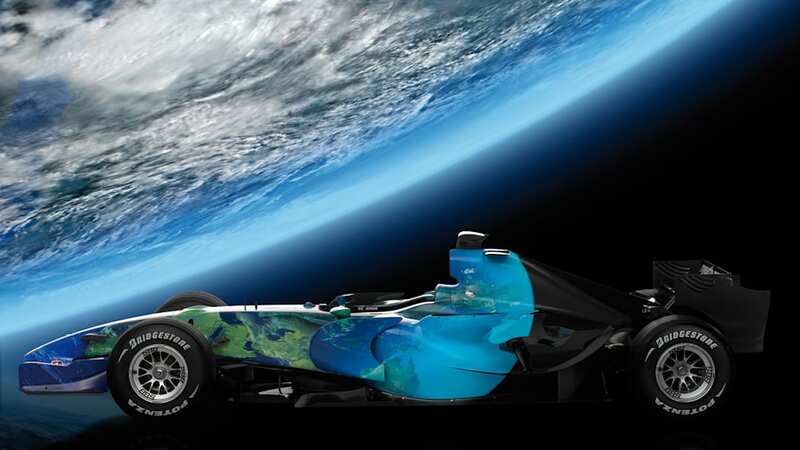 Coinciding with the car's official unveiling is the launch of www.myearthdream.com, the website promoted on the car's rear wing. Visitors to the site can make a commitment to change their lifestyles to help improve the environment and make monetary donations to related charities. In return, visitors can have their names appear on the RA107 as pixel-sized text that ultimately makes up the map of the Earth covering the racer's bodywork. Read Honda's press release after the jump.